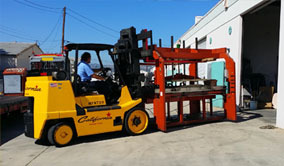 Our professionals at Los Angeles Machinery Movers have been dedicated to providing personalized care and attention to your machinery moving projects for over twenty years. 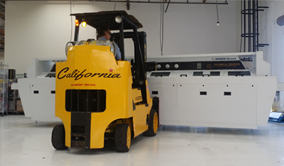 Our riggers are skilled at moving both single pieces of large machinery or whole shop relocation of your equipment all in a timely and always cautious manner. Before beginning a project our riggers will help to assess the equipment, the possible move and help to provide professional advice as to how we can help you get your move done quickly and efficiently. Our professionals serve a variety of industries from all across the Los Angeles area including the printing industry, CNC companies and scientific equipment that is used in professional laboratories. 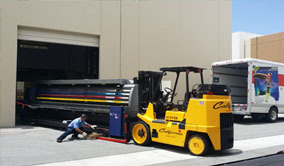 Our professionals understand the care and attention that must be paid to each and every project in order to assure that your machinery is transported intact and always with care.